Rob MacFarland and Sam Comfort at the first annual SoCal Natural Beek Conference in Pasadena. Hey did you all know that you’re not keeping criminals in your back yard in Los Angeles anymore? We are starting to build up a beautiful apiary in Baja . 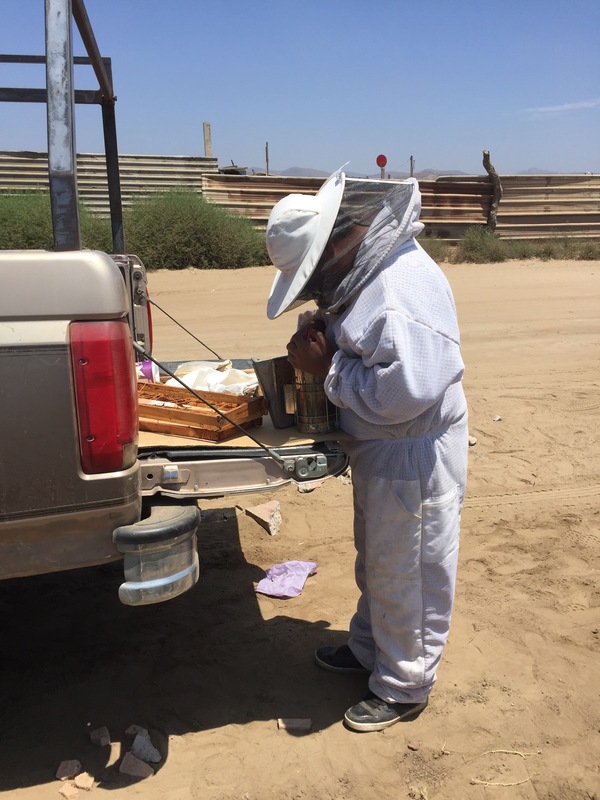 Here’s a swarm and a new Beek Luis .Luis is 15 and looking forward to starting a bee business . Every morning I wake to this view. These are my oldest hives…fifteen years and strong. I do nothing but steal some honey from them for my tea. Mostly I just observe them. They might not be your standard household pets, but city dwellers are reaping the rewards of the latest urban trend­ – beekeeping. 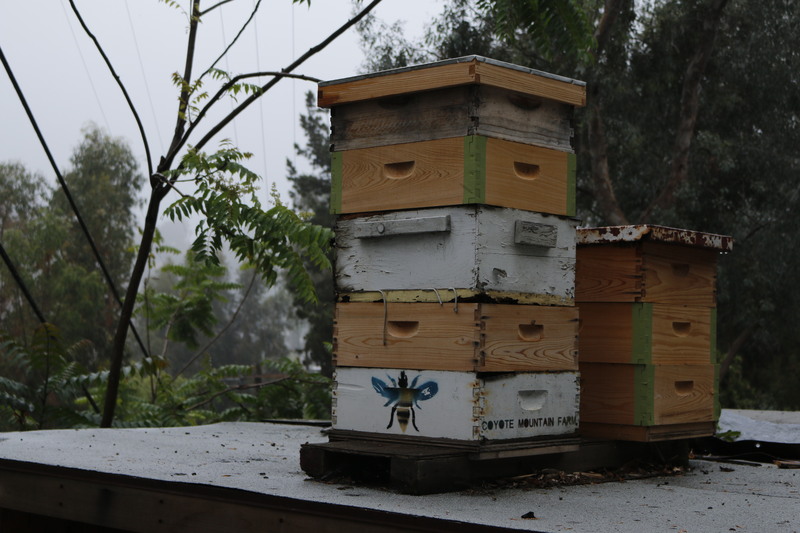 Beekeeping in city backyards is becoming commonplace as locals fight to maintain the population of the globally threatened insect. Peter Dyer is the founder of Backyard Honey, a Melbourne organisation that provides services and knowledge required to host beehives. Since infiltrating New Zealand four years ago, Australia is believed to be the only Varroa free zone left in the world. 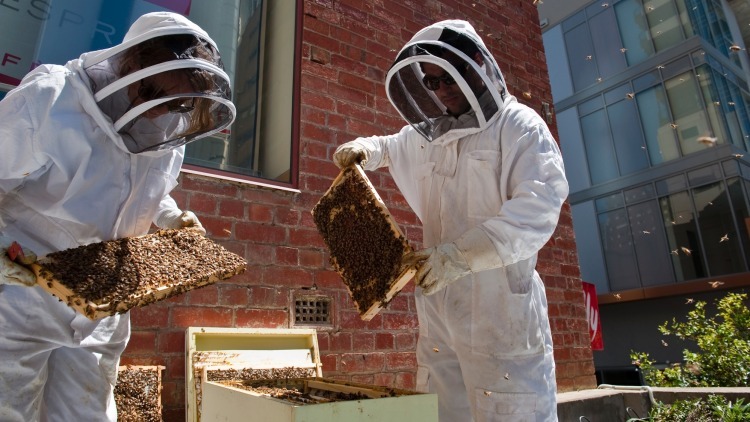 Photo: Melbourne City Rooftop HoneySince being established in 2012, the business has grown to host over 100 hives across metro Melbourne. “Most people get interested in bees because they are concerned about the decline of the bees which is a world wide problem affecting our food security,” Dyer says. The Varroa mite ­– an external parasite that’s deadly to European honeybees – is considered to be the main perpetrator responsible for the declining global bee population. Since infiltrating New Zealand four years ago, Australia is believed to be the only Varroa free zone left in the world. It’s estimated that as much as 80 per cent of the wild bee population in the United States and Spain could have already perished. “More people are realising that bee populations are under threat, and humans are largely the cause,” says Indira Naidoo​, author of The Edible City. While Australia is currently devoid of the mite, its existence is a constant threat to our shores. 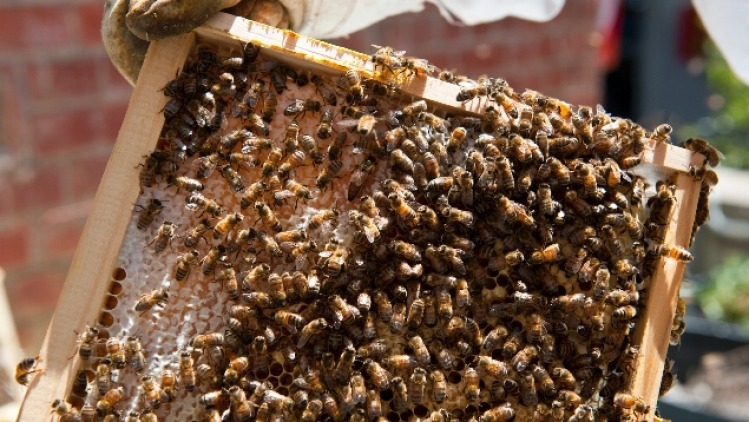 “Many farmers fear it’s only a matter of time before the mite strikes our hives,” Naidoo says. The cherry, almond, apple and pear industries are almost totally reliant on bees, which overall play a vital role in Australia’s food production. “65 per cent of agricultural production in Australia depends on pollination by European honeybees,” Naidoo says. The worst-case scenario of the Varroa mite infiltrating Australia is all unmanaged and feral colonies being wiped out, and the loss of 50 per cent of managed hives. Melbourne City Rooftop Honey is an urban beekeeping organisation founded to raise awareness of the declining bee population and support a more sustainable hospitality industry. The concept of the organisation was formed when founders Vanessa Kwiatkowski​ and Mat Lumalasi​ saw the success of urban beekeeping internationally in cities such as Paris, London, Toronto, San Francisco and New York City. The duo saw the opportunity to collaborate with local businesses, placing beehives on their rooftops in exchange for mentoring and honey. “We not only just share honey with our supporters we share knowledge, connect people and create a sense of community,” Kwiatkowski says. Environmental benefits aside, those involved in beekeeping find the practice to be an enjoyable and rewarding hobby. “Suburban bees in managed hives are great because they provide pollination to local gardens and are less prone to disease as they are not constantly moved from one crop to the next,” Dyer says. While the mandatory full-length suits may initially daunt beginners, beekeeping is a relatively safe practice, able to be undertaken by anyone who can lift five kilograms and is not highly allergic to bee stings. “Bees are reasonably gentle creatures and not the crazed stinging predators that some people think,” Kwiatkowski says. “Working with them reminds us to slow down and take your time, as trying to rush through the hive will result in unhappy bees, so it’s almost therapeutic. For those concerned about bee stings, an alternative is to keep a box of native stingless bees in the garden or balcony. “They don’t make as much honey as honey bees but they still do an important job pollinating plants in the garden,” Naidoo says. The space required for a hive is minimal, but owners should consider the flight path of the bees, the availability of fresh water, proximity to light and always comply with legal requirements. Set up requires tools including an extractor, protective equipment, a hive and a nucleus colony with a queen and worker bees. Depending on their management, location and frequency of harvesting, backyard hives can produce between 10 and 80 kilograms of honey each year. “Time taken to supply a nucleus colony varies, depending on the weather. Expect a basic set-up to cost $500 to $700,” Naidoo says. It’s Kwiatkowski and Lumalasi’s hope that beehives will become as common as the humble chook pen and backyard vegie patch. Bees require a dry, sunny position, preferably with a north east aspect. 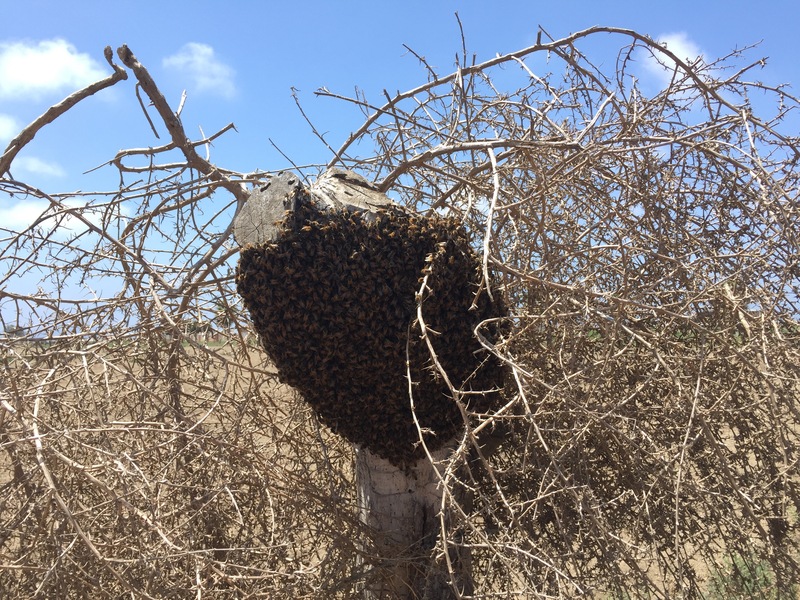 Windy locations are not suitable, as the colony will have difficulty maintaining the temperature and humidity in the hive. Bees are flying in and out of their hives constantly, so flight paths are also important to consider. It is necessary to place bees away from human traffic areas such as footpaths, back doors and vegetable gardens. The hive entrance should not face an outside light as this will attract bees and confuse them when it is on. The bees will also require flowers for pollen and nectar within about 100 metres of the nest, but will fly as far away as 10 kilometres to collect them. Ensure your hive meets all state regulations. In New South Wales, every beehive must be registered with NSW Department of Primary Industry so officers can monitor hive health and the spread of diseases. A small registration fee is payable every second year. Beginners are advised to undergo at least a one-day course before starting beekeeping.